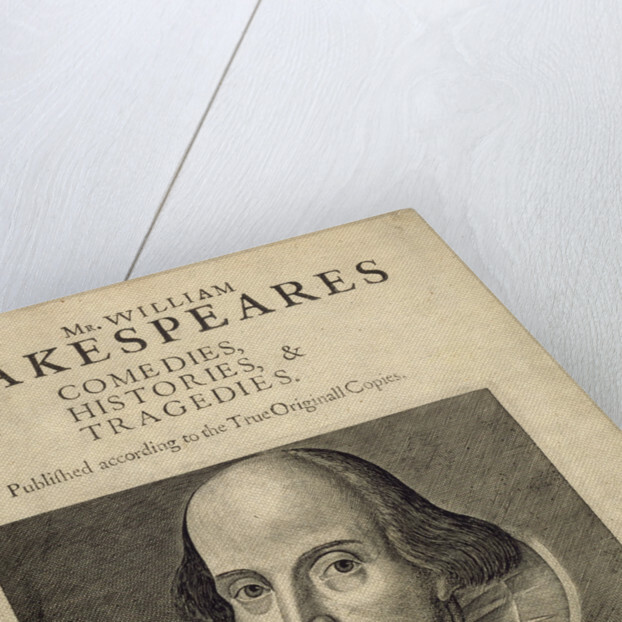 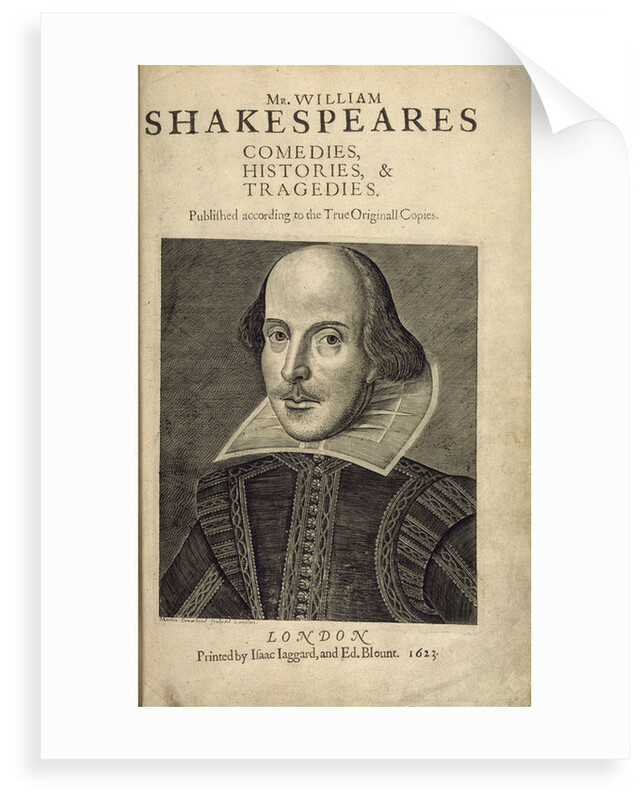 The frontispiece from William Shakespeare's First Folio, entitled 'Comedies, Histories, & Tragedies'. 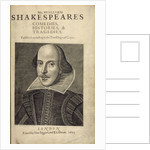 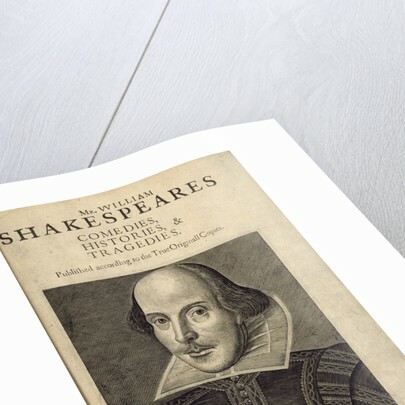 This was the first collected edition of his plays, published just 7 years after his death. 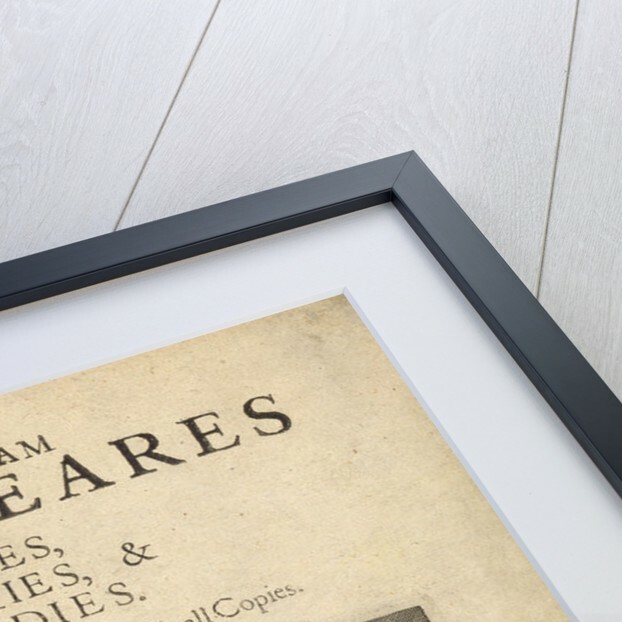 The portrait of Shakespeare was created by Martin Droeshout, and the manuscript was published by Isaac Iaggard and Edward Blount in 1623.